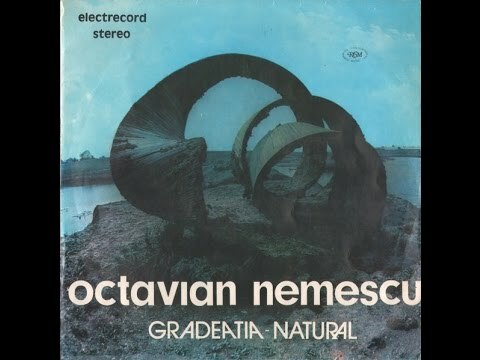 Octavian Nemescu is a Romanian composer of orchestral, chamber, choral, electroacoustic, multimedia, metamusic, imaginary, and ritual works that have been heard throughout Europe and elsewhere. 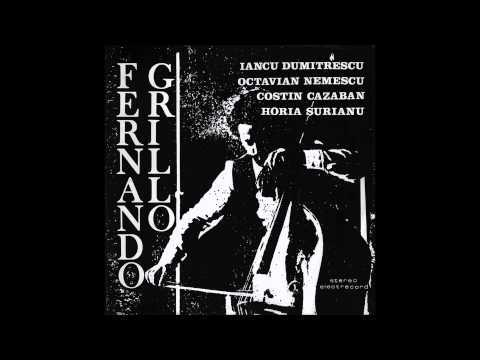 Through many years, from his youth, Octavian Nemescu contributed decisively to the development of the avant-garde in Romanian music. The following article results from an artist talk with Octavian Nemescu, hosted by Andrei Tănăsescu at the festival Outernational Days 2, July 9, 2017. "Sadly, I lived a very narrow-minded, conservative and, if I may, terrorist period of the communism. Romania was under communism from 1948 to 1989. At first it was a Stalinist period. I was a child back then. Times were harsh, a lot of arrests were happening, people were dying in prisons. A liberalization came through after Stalin's death that lasted a very short while (1955-1958). After the Hungarian and Polish revolutions in 1956, taking advantage of the liberalization of the communist ideology, a new terrorist period began. In culture, terror manifested through this realist-socialist-proletarian doctrine and through something that is popular to nowadays: mass culture. Artists and musicians were supposed to make art for the masses, for the proletarians. Modernism, which was very popular abroad, was banned after the war. And not only modernism. Mysticism too. This narrow-minded and conservative period followed, with people getting kicked out of the University, that lasted from 1958 and 1963. In 1963 I was in the last semester of the last year of my studies, when we were told, at the scientific socialism class, that we are now free to make the art we desire and that we have total freedom. I was blown away by the news. I did not understand what happened at first. So sudden and unexpected; from complete terror, to total freedom. Later on I found out that a rupture happened in the heart of the communist camp. China tried to implement a new type of communism, as a substitute to the Moscow structure. Albania followed, and then, as a suggestion from an intellectual in our government, probably the only one, Ion Gheorghe Maurer, Romania also tried to leave the Moscow sphere and to switch to the new communist approach and to open up to the western mechanics. People were let out of jail. This was happening when Gheorghe Gheorghiu Dej was the head of the communist party. So this is why a period of ideological liberalization started. It lasted from 1963-1971. Meanwhile Gheorghiu Dej died and Nicolae Ceausescu replaced him. He visited China and North Korea. These having pretty much the same mentality back then as they have now, he got influenced by them towards shutting down every remaining trace of freedom, and a similar terror as the one in 1958-1963 started. Communism was internationalist at first, and then it morphed into national-communism towards the last years of Gheorghiu Dej's reign. In the '90s the nationalism prevailed. We, artists, took advantage of this liberalization period, and this is when Romanian's cultural "big bang" happened, in all the cultural spectrum: cinematography, literature, music. The generation of Stefan Niculescu, Aurel Stroe, Anatol Vieru, Tiberiu Olah, and the younger generation that was taking the same path. In this liberalization context, we stumbled upon a few obstacles that were created by the leaders of the Composer's Union, who were not very open towards Modernism, towards avant-garde. They hated these approaches. We were calling them "peasants", they were only interested in music of folklore. We had many obstacles. After 1971 the freedom continued, compositions for the "drawer" were made, but the problem was that when we were getting booked abroad we couldn't obtain passports. There were other problems until 1989. Through the realist-socialist-proletarian terror of mass culture, we tried, in our college years, to make a small oppression group. It was named OCL : "Octav/Cornel/Lucian". And of course, we were listening, we were trying to obtain books, magazines about the avant-garde directions that were popular back then in the West. We were attending the "Central State Library" with permission from the deanship where we could find such magazines that were aesthetic landmarks. We were deceitful. For the exams we were making a certain type of music, just to pass the exam and for ourselves, we were making something different. Sometimes there were scandals at the exams, and we were getting threats that we would get kicked out and sent to labor work. That was the ultimate sanction. If you were not obeying the instructions, you were sent to work in a fabric, and the theory was the following: during capitalism, education, including superior education, you pay for, there are taxes. During communism, it was free. Who is keeping you in collage? Labour workers, so you have to make music for the masses, for the labor workers. Actually these were mandatory propaganda songs, which were meant to awaken enthusiasm about socialist and communist ideals and about the supreme and unique rulers of the country. These were the orders." "At the time when liberalization started to manifest, Romanian ideas started to emerge in the Romanian musical context, which is the only context I am going to talk about since I am only entitled to talk about literature or arts, though, there has been an aesthetic solidarity between musicians, composers and writers and visual artists. One of these ideas was ecology, which was just emerging everywhere. Thus, a new aesthetic appeared, visual artists that were no longer called painters or sculptors, but installation artists, who created installations placed in nature, on the fields, on the edge of a forest, on a lake and us musicians, me being one of them, also wanted to create music in the middle of nature. We used to say "Take down the concert halls ! ", we were very radical, "Take down the institutionalized art galleries and museums! ", all of these barracks that came with Renaissance, and return to ancient rituals where magic was most important and this magical dimension primed. We would place our artworks in the middle of nature in order for them to become charged with this natural energy of the surrounding places, and thus we grew closer to having this shamanic, ritual-like aura. Another movement of the time, present in all of the arts, a very important one, which emerged from the Romanian territory, was the archetypal one. What does an archetype mean, for defining it I found Plato, who was the first to speak of such a thing. He said that archetypes are the essences and permanence of the world. He used to say that we live, while we are in this body, in a cave, watching a dance of the shadows that is happening outside the cave. Well, those realities are the real ones, the essence and permanence of things, not the shadows that we can see and feel using our senses, in this cave. And we discovered another thing, that the one who first applied this archetypal aesthetic was none other than Brâncuși. His sculpted heads, the flying birds, did not use any concrete symbols such as birds like a crow or a stork. It is the essence of all bird flights. This is why, in the case of the human heads, there was only the essence of a human head, beyond any gender or race. And I said, Brancusi is an archetypal artist, one of our Romanian artists is applying this archetypal vision. Let's also follow this direction in music and discover which are this archetypal essences, that are present in the visual arts. I've had a friend, a brother that is none other than the painter Marin Gherasim that has passed away not long ago, he considered himself archetypal and another poet, that has almost disappeared nowadays, Ioan Alexandru. I don't know if you remember from the Revolution, the first one that went out holding a cross, to whom we owe the presence of crosses in the Hall Of Parliament, is none other than Ioan Alexandru. He also searched for these essential words, he used to say: “before the tower of Babylon, words that are common for all people”. He found in 'amen' and 'aum' a great resemblance. In this way we were all brothers in search of musical, visual and literary archetypes. There was a solidarity that is somehow lost today among the youngsters. Working with synthesizers implied a relationship with people from the engineering domain. They were the creators of the synthesizers. The first attempt of building synthesizers were in the ‘60s, very small at the beginning. In 1965 the first studio of electronic music in Romania was born. It was imperfect. Corneliu Cezar was the first one there, he was a fascinating, complex and universal personality. He was a composer, poet, painter, astrologer, a kind of Romanian Jean Cocteau. He made the first electronic Romanian song; it was called Aum. He was one of the pioneers of the music avant-garde from Romania." Conversations in Bucharest with Alan Bishop, Sam Shalabi and Maurice Louca.